The PMA Capital Insurance Corporation was sold in 2010 to the Armour Reinsurance Group Limited, a subsidiary of Brevan Howard P&C Master Fund Limited and renamed Excalibur Reinsurance Corporation. This sale stabilized PMA Capital’s parent company, the PMA Insurance Group and provided them with additional working capital. Please enter your zip code for free online up-to-date health insurance quotes! 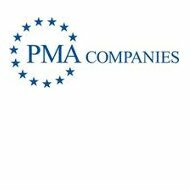 PMA companies include PMA Management Corporation, PMA Management Corporation of New England, Midlands Management Corporation and Old Republic International Corporation and the PMA Insurance Group, the focus of this article. All of these companies excel in the traditional workers’ comp insurance market and provide third party administration (TPA) for thousands of business clients. The PMA Insurance Group, http://www.pmagroup.com/, is a top provider of workers’ compensation coverage and commercial insurances in the United States. PMA has been in business for almost one hundred years and provides services through three member companies. The largest of these is PMIC, the Pennsylvania Manufacturers’ Association Insurance Company that is licensed to do business in all 50 United States and the District of Columbia. The other two companies, Pennsylvania Manufacturers Indemnity Company and the Manufacturers Alliance Insurance Company, each do business in 47 US States and the District of Columbia. In 2010, rating company A.M. Best removed PMA from its “review” list and affirmed PMA Insurance Group financial stability and credit ratings as excellent A-, following the sale of the PMA Capital Insurance Corporation. The future outlook for the PMA Insurance Group is stable according to Best. Medium sized companies may also avail themselves of PMA management, control and claim services. PMA also specializes in-group programs and captive accounts. Standard and preferred commercial auto programs featuring comprehensive coverage and offering premium endorsements at competitive rates. These services are invaluable for clients who have employees that travel or live abroad, companies that export goods and services overseas, and companies that employ foreign nationals to sell their products or provide services in other countries. PMA also provides protection for travel groups and study abroad programs. This unique information operating system allows for comprehensive yet flexible data management, helping to shrink PMA client companies’ insurance expenses thereby increasing profit, the bottom line, while providing a safer work environment for all.